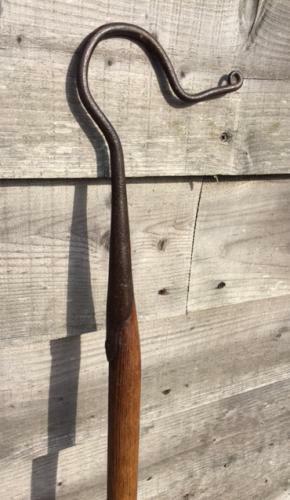 19th Cent Shepherd's Neck Crook of medium proprtions usually associated with Dorset in Style. Original Ash shaft. Neck Crooks were only used at lambing time hence they were seasonal and are much rarer than the everyday leg crook.